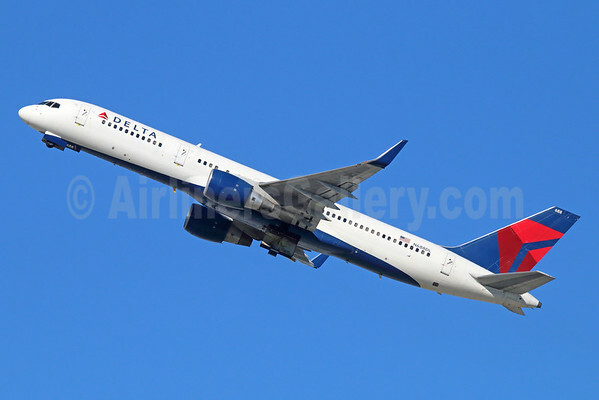 Delta Air Lines (Atlanta) is increasing its flight options from Paris Charles de Gaulle Airport for the summer 2015 season. The airline will restart nonstop flights from Paris CDG to both Philadelphia International and Pittsburgh International airports, both effective May, 11, 2015. These flights start after Delta adds a third daily flight to Boston’s Logan International Airport on March 29, complementing the existing daily Delta and Air France service. With the addition of these flights, Delta will operate up to 13 peak-day departures between Paris CDG and the United States during the summer months. Delta’s services between Pittsburgh, Philadelphia and Boston will be operated in conjunction with joint-venture partner, Air France-KLM. The airline will use a 167-seat Boeing 757-200 aircraft (above) on flights to Pittsburgh and Philadelphia and a 245-seat Boeing 767-400 aircraft on the Boston route. Copyright Photo: Michael B. Ing/AirlinersGallery.com. Boeing 757-232 N688DL (msn 27587) departs from Los Angeles. This entry was posted in Delta Air Lines and tagged 27587, 757, 757-200, 757-232, Boeing, Boeing 757, Boeing 757-200, Boston, Boston’s Logan International Airport, CDG, Delta Air Lines, LAX, Los Angeles, N688DL, Paris, paris cdg, paris charles de gaulle airport, Philadelphia, Philadelphia International, Pittsburgh on April 1, 2015 by Bruce Drum.